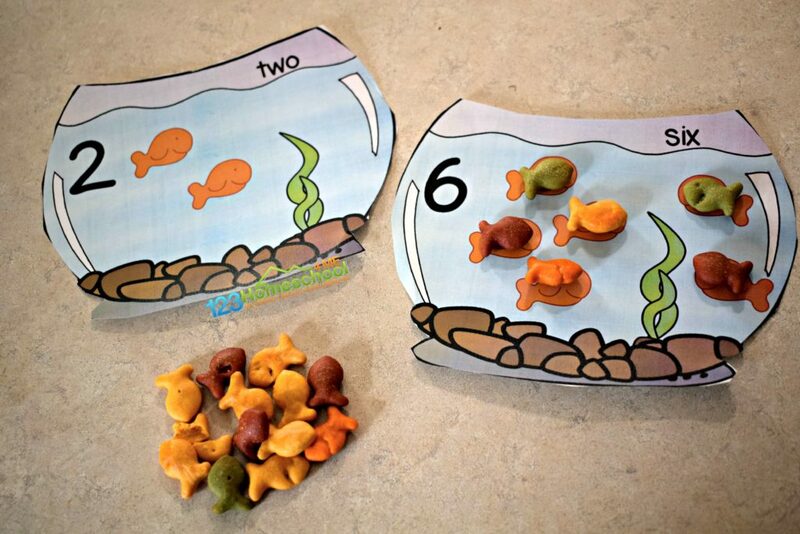 This Fish Cracker Counting Cards is such a clever preschool math activity to help kids practice counting to 10 and one to one correspondence at the same time. 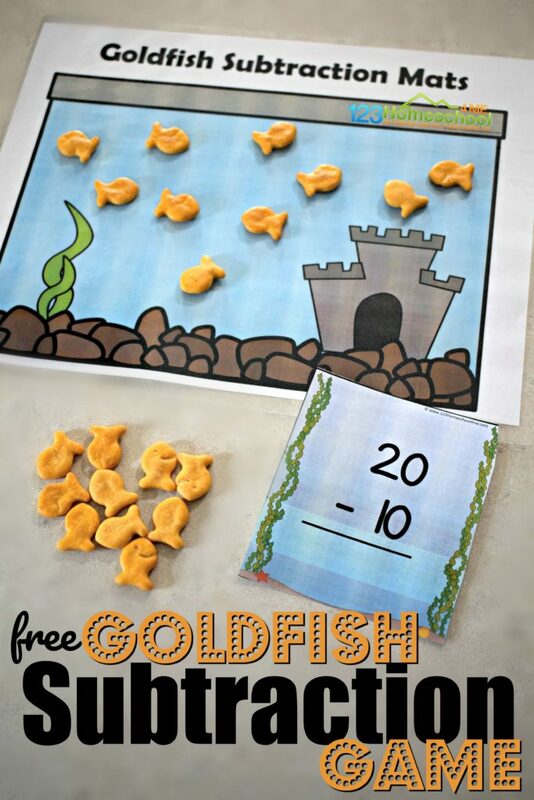 This free printable count to 10 activity uses goldfish cracker to help kids count to 10 while working on the concept of one to once correspondence. Your kids will love this educational kids activity! Print the pages of fish bowls in color. I suggest laminating for durability so the activity can be use over and over. Finally, you can either cut the page in half or you can cut out the extra white to leave just the fish bowl – this is my favorite method. It takes just a little longer, but looks so much prettier! This is great for home preschool, day cares, math centers, and more! 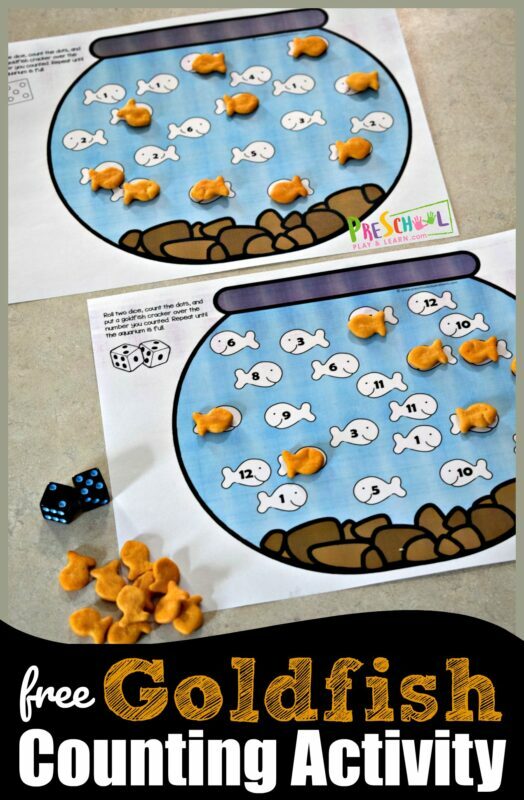 Kids will count to 10 with goldfish crackers in this math activity for preschoolers. You can use any color or brand of fish crackers you like. 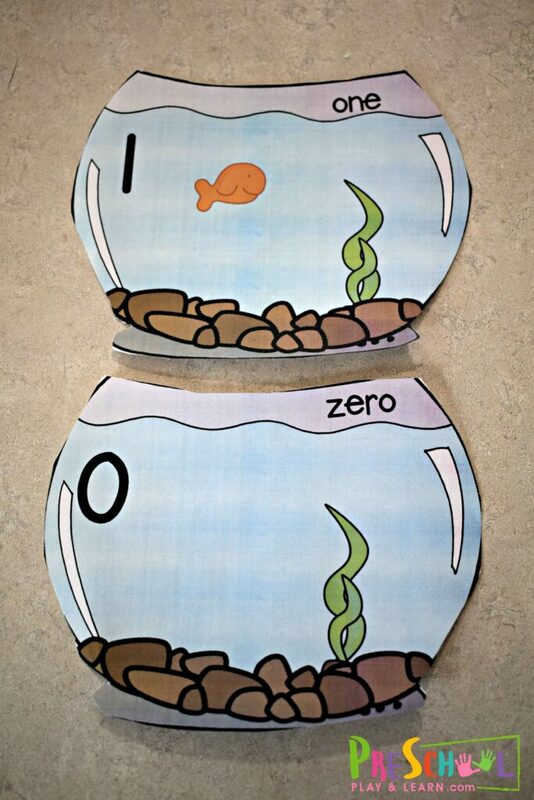 The important part is that kids are putting one cracker on each fish in the bowl to practice one to one correspondence AND that they are counting the fish out loud to practice counting 1-10. 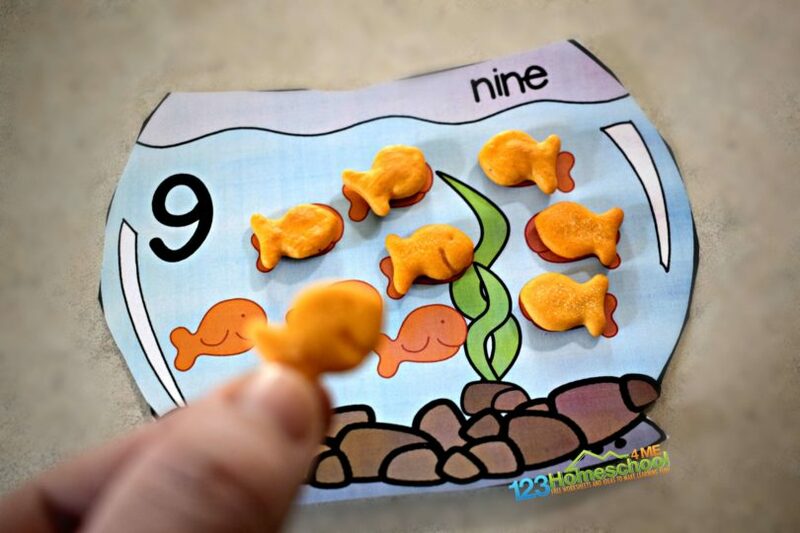 Use goldfish to practice one to one correspondence with toddler, preschool, and prek age kids. 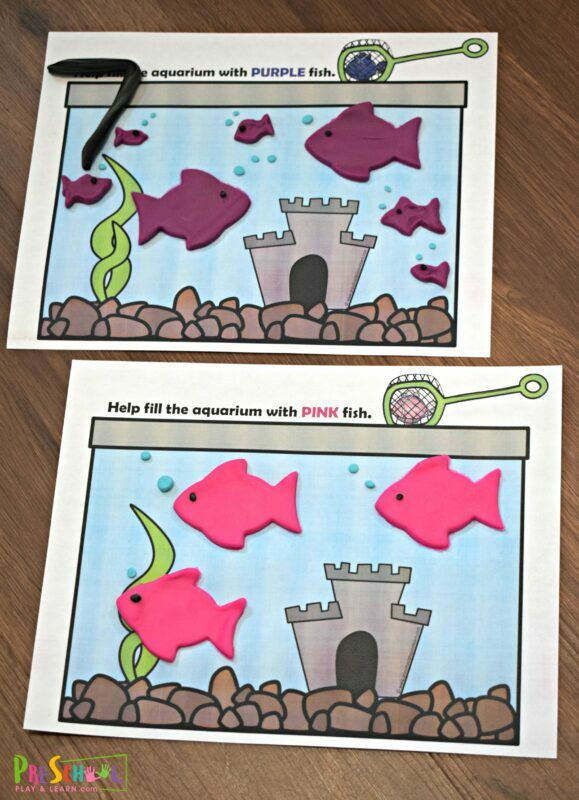 Instruct students to put one goldfish cracker on top of each of the fish in the fish bowl printable. Then count all the goldfish out loud together. This fun activity not only helps kids with so many early math skills, but kids love any food activities! 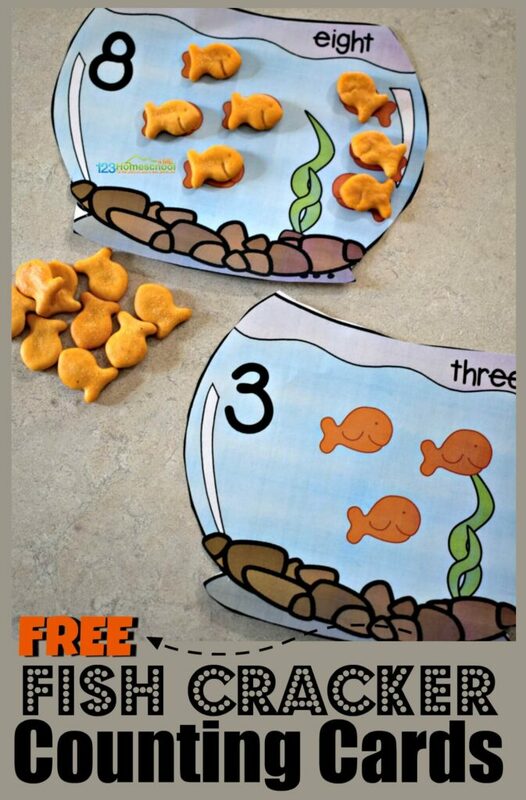 More Free Goldfish Activities Kids will LOVE! Don’t miss these other fun fish themed printables from our three sites. Beth Gorden is the creative multi-tasking creator of Preschool Play and Learn. As a busy homeschooling mother of six, she strives to create hands-on learning activities and worksheets that kids will love to make learning FUN! Beth is also the creator of 123Homeschool4Me.com and kindergartenworksheetsandgames.com where she shares more than 100,000 pages of FREE worksheets,& educational ideas for PreK-8th grade. i am a subscriber and would love to download the goldfish bowls but cannot locate an active for the pages – only links to advertisers. The link to download is int he subscribe button. By entering your email it will signal the system to send you an instant download link. And no worries, your subscription will not be duplicated! Copyright www.preschoolplayandlearn.com @2019. All rights reserved.